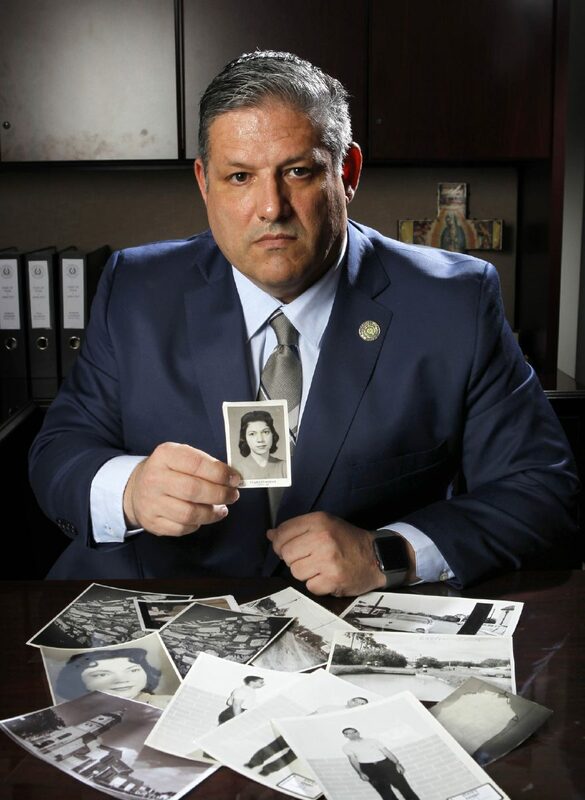 Hidalgo County Assistant District Attorney Michael Garza holds a photograph of Irene Garza that he kept with him during the trial of John Feit. Feit was convicted of the murder of Irene Garza and sentence to life imprisonment 57 years after her death. EDINBURG — Nearly a week removed from getting a conviction in a historic trial, even exhaling proved challenging. After all, securing a conviction in what was arguably the region’s biggest trial proved much more complicated for the lead prosecutor on the case, a devout Catholic, considering that the person he was trying to convict was a former man of the cloth. Michael J. Garza, an assistant district attorney for Hidalgo County and the man responsible for finally bringing ex-priest John Feit to justice, felt uneasy days after a jury found Feit guilty of murdering Irene Garza during the 1960 Holy Week. The case was 57 years in the making and produced a trial that included evidence and testimony of a church-led cover-up to avoid bad publicity. But even in the days after state District Judge Luis Singleterry hammered the gavel for the final time during trial, Garza still struggled to pinpoint the uneasiness.